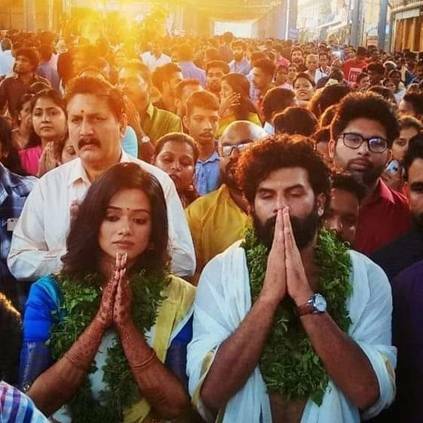 Popular actor Malayalam actor Sunny Wayne who has acted in films like Neelakasham Pachakadal Chuvanna Bhoomi, Kayamkulam Kochunni and others, has tied the knot with Renjini, a dancer based in Kozhikode, Kerala. Many actors from the film industry congratulated the couple. This wedding was a secret affair, as not many knew about this. It came as a surprise to his fans, after he took to Facebook to directly announce that he had tied the nuptial knot. The reception will be taking place today at Kochi, and the celebrities might be attending the event. His actual name is Sujith Unnikrishnan. He made his debut in the film Second Show that released in 2012, starring Dulquer Salmaan in the lead. He was last seen in the feel-good Malayalam film June, that released a last month and also played the antagonist in the most expensive Malayalam film, Kayamkulam Kochunni, that had Nivin Pauly and Mohanlal in the lead roles. Stay tuned for more updates. People looking for online information on Kayamkulam Kochunni, Renjitha, Sunny Wayne will find this news story useful.